The formation of kilometer-sized planetary building blocks, called planetesimals, is still a hotly debated problem. A pure "hit and stick" model of dust grains faces several difficulties: from drift barrier, to bouncing and fragmentation barrier, to finally the 10km barrier. Thus, models have been invoked that lead swiftly to 100km-sized planetesimals from cm-sized objects via turbulent concentration and gravitational collapse. In this talk I will highlight the role of zonal flows in magnetohydrodynamical (MHD) active regions of circumstellar disks and of vortices in the MHD-dead zones. In the latter, radial and vertical stratification is the key to understanding the hydrodynamical stability of these disks. The fact that these features are able to concentrate the tiniest amount of small dust in an amount sufficient to trigger a streaming and gravitational instability enables us to work out a size distribution for initial planetesimals that resembles observational findings in the asteroid and Kuiper belts. 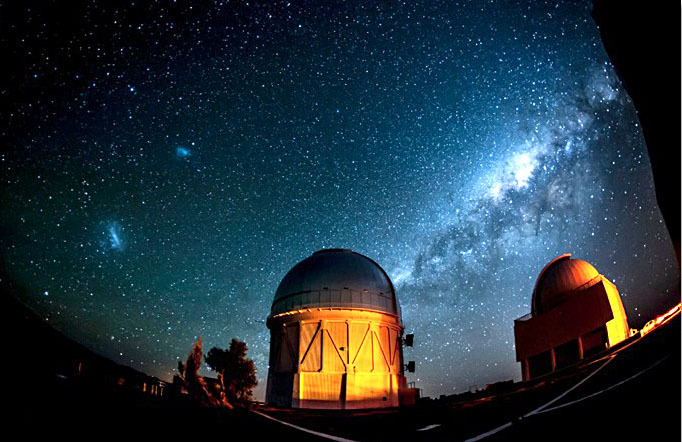 The Dark Energy Survey (DES) is a large imaging sky survey designed to enable us to understand the physics underlying the accelerated expansion of the recent Universe. This cosmic acceleration can be explained either by invoking a new energy component to the Universe, dark energy, or by introducing a new fundamental theory of gravity. In either case it is one of the greatest scientific challenges of our time. DES data is used to measure the cosmic expansion rate history and the growth of large-scale structure using complementary techniques such as: type Ia Supernovae, galaxy cluster counts and weak gravitational lensing. In this talk, I present our recent results, describe an initiative to develop a new future technique — cosmic sirens — and discuss the prospects for improving our understanding of cosmic acceleration with DES data. I will also discuss, briefly, the long term evolution of this research program beyond DES, with the Large Synoptic Survey Telescope (LSST) and the Giant Magellan Telescope (GMT). LSST is a future imaging survey that will cover larger area and will achieve higher depth than DES. GMT is a next generation 30-meter class telescope with superb imaging and spectroscopic capabilities. Originally proposed to solve the mystery of the vanishing neutron electric dipole moment, axions have emerged as one of the leading candidates to explain the dark matter of the universe. In this seminar, I will explain the principles of the resonant microwave cavity technique used by the ADMX experiment to directly detect the local flux of dark matter axions, and the challenges that will be faced as the search for the dark matter broadcast frequency progresses from the 1 GHz band up to 10 GHz and beyond. I will also briefly cover ideas to utilize instrumentation from the CMB/FIR communities to enable future probes: superconducting bolometers for higher frequencies 10-300 GHz, and frequency multiplexed readouts for lower frequencies <1 GHz. Enhancing Exoplanet Discovery and Characterization through Stellar Photometric "Flicker"
As a result of the high precision and cadence of surveys like MOST, CoRoT, and Kepler, we may now directly observe the very low-level light variations arising from stellar granulation in cool stars. In this talk, we discuss how this enables us to more accurately determine the physical properties of Sun-like stars, to understand the nature of surface convection and its connection to activity, and to better determine the properties of planets around cool stars. Indeed, such sensitive photometric "flicker" variations are now within reach for thousands of stars, and we estimate that upcoming missions like TESS will enable such measurements for ~100 000 stars. We present recent results that tie "flicker" to granulation and enable a simple measurement of stellar surface gravity with a precision of 0.1 dex. We use this, together and solely with two other simple ways of characterizing the stellar photometric variations in a high quality light curve, to construct an evolutionary diagram for Sun-like stars from the Main Sequence on towards the red giant branch. We discuss further work that correlates "flicker" with stellar density, allowing the application of astrodensity profiling techniques used in exoplanet characterization to many more stars. We also present results suggesting that the granulation of F stars must be magnetically suppressed in order to fit observations. Finally, we show that we may quantitatively predict a star's RV jitter using our evolutionary diagram, permitting the use of discovery light curves to help prioritize follow-up observations of transiting exoplanets. Radiative energy losses of the hot gas in galaxy clusters occur on timescales significantly shorter than the Hubble time, leading to massive accumulation of cold gas and vigorous star formation, in contradiction to observations. Several sources of heat have been discussed, most promising being heating by the SMBH in central galaxies through inflation of bubbles of relativistic plasma. The missing link in this scenario is the mechanisms, by which energy from bubbles is transported to the hot gas. Dissipation of gas turbulence, induced by bubbles during their buoyant rise and expansion, is a possible mechanisms. However, direct measurements of gas velocities will be possible only with future X-ray calorimeters on board the Astro-H observatory. We recently overcame this problem, by analyzing long Chandra observations of the X-ray brightest clusters of galaxies and measuring statistical properties of density fluctuations, which allowed us to constrain the velocity power spectrum of gas motions in the ICM indirectly. I will show that the heating rate due to dissipation of turbulence is indeed sufficient to balance the radiative cooling locally at each radius within the cores. 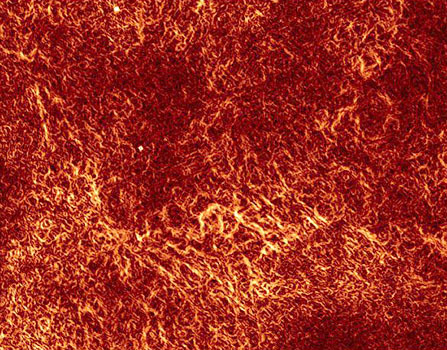 Turbulent dissipation, therefore, might be the key element in resolving the gas cooling problem in cluster cores and other X-ray gas-rich systems. 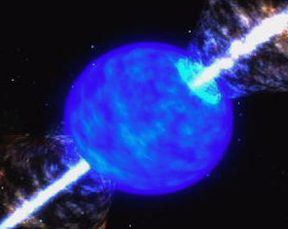 Gamma-ray bursts (GRBs) are emitted by powerful relativistic jets from short-lived compact engines. A long-debated question is how the jet radiates the observed gamma-rays. The GRB spectra suggest that most of the radiation is produced at the opaque stage of the explosion and then released at its photosphere. In many respects, the explosion resembles the Big Bang; in this analogy, the emitted burst corresponds to cosmic microwave background. Its spectrum is shaped by radiative transfer in the expanding jet; it becomes nonthermal because of strong internal dissipation. I will describe the main stages of the explosion, the dissipation mechanism, and the radiative processes that produce the gamma-rays. Detailed transfer simulations confirm the photospheric picture and allow one to estimate the main parameters of the GRB jet -- its Lorentz factor and magnetization. I will also discuss the puzzle of long GeV flashes accompanying GRBs. The current paradigm of the ISM is that it is a multiphase turbulent environment, with turbulence affecting many important processes. For the ISM this includes star formation, cosmic ray acceleration, and the evolution of structure in the diffuse ISM. This makes it important to study interstellar turbulence using the strengths of numerical studies combined with observational studies. I shall discuss progress that has been made in the development of new techniques for comparing observational data with numerical MHD simulations in the star forming molecular medium, in neutral gas as traced by 21 cm emission, and warm ionized gas as traced by synchrotron polarization.